If you start counting the amazing places of the world, then Disneyland would certainly be on your list on the top-5 rank obviously. And, why not as it has everything to make a memorable visit to this magic world. With several hotels, two parks, and more, Disneyland Paris is getting more and more popular. The guide here will provide you all the details to have a look into before heading to Disneyland Paris along with some general travel tips to make your journey hassle-free. Don’t forget to check them out before you start your journey to the mysterious island. Get the most up-to-date information and advice and make your trip to Disneyland Paris an adventurous one. 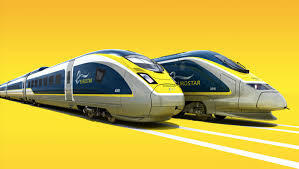 If you are planning a straight trip from London to Disneyland Paris, travel with Eurostar. People generally prefer Eurostar because it’s affordable, comfy, and faster. Since it’s the most popular tourist destination in entire Europe, considering a day in Eurostar can save you a lot on your holiday trip. If you are a huge Disney fan who is planning an international trip solely or mostly for Disneyland Paris, this guide has you covered. Thanks to the large-scale refurbishments, Disneyland Paris looks fantastic nowadays as much of the park has been restored to its original splendor. If you prefer to travel by train between London and Paris, then take the Eurostar. You’ll be going to love it. The Eurotrip departs from St Pancras station in London, goes through the channel, and arrives at Gare du Nord station in Paris. The entire Eurostar to Disneyland Paris trip will take around two hours and fifteen minutes to reach you from London to Paris. Buy the Eurostar train tickets as early as possible. This is because there’re only limited seats for traveling affordable and once they’re sold; you have to buy the more expensive tickets for your journey. Of course, premier and business class tickets’ costs are higher than the average cost on Eurostar to Disneyland Paris. Pack snacks and food for your journey. Trains do have dining cars but if you want specific food to eat and please your taste buds; be sure to grab them before boarding. Don’t be late to catch your train. The train Eurostar to Disneyland Paris leaves the station exactly on time; therefore, arrive at the boarding station early. Plus, you need to go through several security checks before getting on the train and this can take more than a few minutes of course if there’s a long queue in front of you. Counting on the train Eurostar to Disneyland Paris for a memorable trip is definitely a wise and cost-effective choice. You could fly or take a ferry, but you choose to go by train. Why? It’s because train travel is the best way to get to the continent to start your rail adventure. The high-speed Eurostar to Disneyland Paris is the quickest and safest train to ride. It’s the most convenient and environmentally friendly way also to start your long-waiting adventurous trip. In just 2hrs, you can travel from the central London to the central Paris on a comfy train via the Channel Tunnel. The train Eurostar leaves from St Pancras International Station in London approximately in every hour during the daytime. Take the London underground to King’s Cross St Pancras Station to reach St Pancras International. It’s a beautiful station established in 1868 and serving the people till date. After the renovation of the station, there are plenty of charming attractions to enjoy and pass the leisure time before the train leaves. You need to be there at the station at least one hour before the boarding time. Scan the barcode on your e-ticket at the gate and enter. The train Eurostar to Disneyland Paris takes just 2hrs 15mins on an average. Only 20mins of the entire trip is spent in the Channel Tunnel. Besides, the train speeds through the green farmland and countryside dotted with villages of Kent in south-east England and northern France. Even in standard class, the seats for a passenger on the train are comfy and carriages are air-conditioned. When you travel premier class on Eurostar to Disneyland Paris, a complimentary meal is coming included with your travel package. The train Eurostar to Disneyland Paris arrives at Gare du Nord station from where you can take a metro or book a shuttle bus or hire a taxi service is entirely depending on your choice to reach your destination. Keep change in your pocket as you might need it during your entire journey. Enjoy your holiday! Previous Post Why Finding Right Explorers’ Hotel in Disneyland Is So Important?